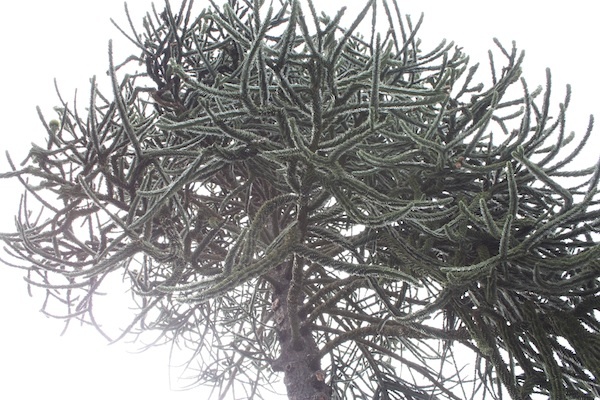 When I first heard of a tree called the Monkey Puzzle, I went straight to Wikipedia. 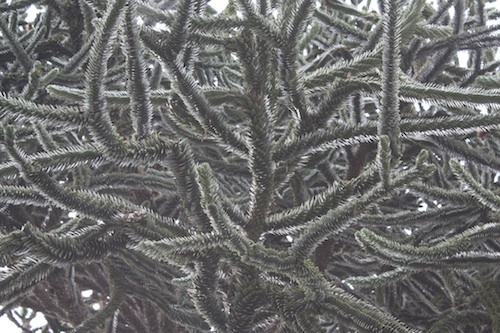 Thanks to Wikipedia, I now know that this tree is native to western Argentina and central and southern Chile (and is the national tree of Chile). 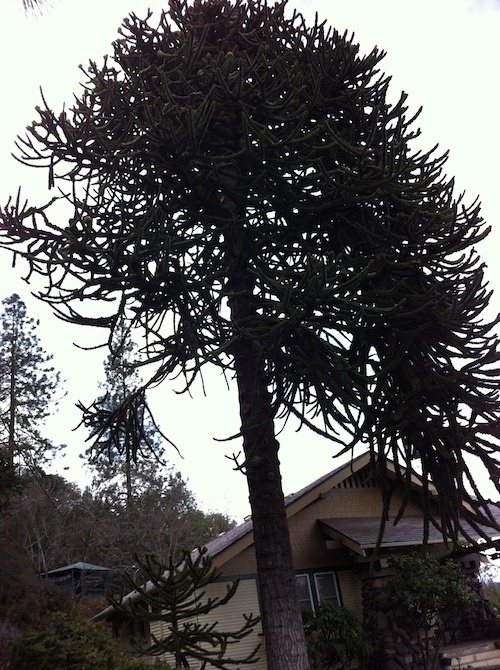 It’s a very old species of tree, referred to as a “living fossil.” And its scientific name is Araucaria araucana, which means I’ll be sticking with calling it the Monkey Puzzle. As you can see, this is a challenging tree to photograph It is located on a steep hill and I found that whenever I visited I was always shooting into a bright sky. It didn’t help much that I have no idea how to adjust the light settings on my camera. But you’ll have to trust me when I say the branches are green. When I zoom in you can get a better sense for its branches — and it quickly becomes apparent how this tree earned its nickname. You can find the Monkey Puzzle on this Google Map I’ve assembled.